The Indian Wells Country Club has a well established history of creating an environment where families and friends can come together. The perfect place to unwind, and simply enjoy a good time. With a total of 36 holes of pure championship-level golf, visitors can rest assured that they’ll have nothing short of the ultimate golfing experience. The golf course was also the original home of the Bob Hope Classic golf competition for a period lasting well over 40 years. If you’re looking to make some lifelong and lasting relationships, this is the perfect place to be. Famous for building strong connections ad creating memories that will be treasured for the rest of your life. With a 70,000 square foot clubhouse, numerous golfing and recreational activities are being hosted round the clock. Members can always keep themselves busy with special activities, building lasting friendships and just enjoying the majestic scenery. The IWCC is home to over 3,500 homes. Members of this country club are given an option between condos and single family homes. The monthly Homeowners’ Association fees range between $300 and $560 and they cover 24/7 security, maintenance, insurance, internet, cable, and other basic amenities. 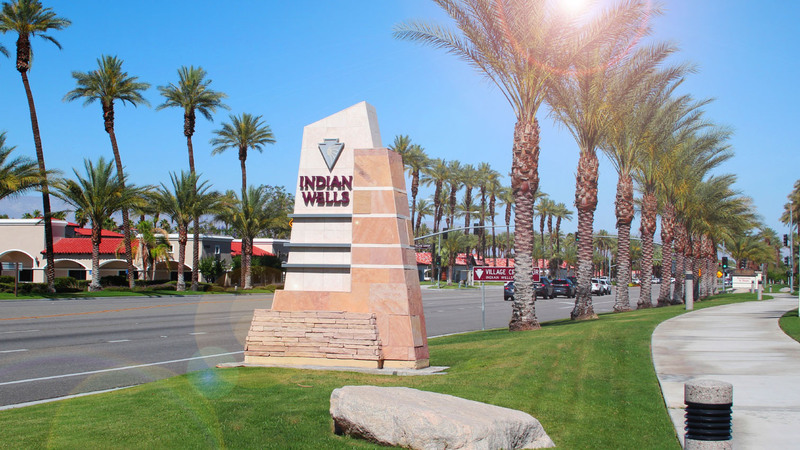 As expected for any location in the Coachella Valley area, the lifestyle in the IWCC is extremely luxurious. Members appreciate the relaxing lifestyle of this area and the many amenities that help maintain an active lifestyle. With 36 golfing home residents are treated to some of the best golfing experiences in the world. There are also social activities and allowance for other sporting activities such as hiking, cycling, card playing, etc. For well over half a century, the Indian Wells Country Club has been home to some of the most luxurious and prestigious golfing courses in the world. It offers 36 holes of championship golf on a picturesque golfing course that has seen the appearance of many of the most prominent figures in the world, including former American President Dwight Eisenhower. You can rest assured that whether you’re looking to golf at the Cove Course or the Classic Course, you’re in for an experience that you’re not going to forget. The staff at IWCC Restaurant “The View” do their very best to ensure that your experience is nothing short of amazing. This includes opening you to a world of amazing cuisine and delicacies from around the world. If you’re looking for the best restaurants in Indian Wells, this is the place to be.